If signing the political EU Association and Deep and Comprehensive Trade Agreements were deemed by President Poroshenko as the most important decision since independence, it was also an easy one for him to take – it was the mandate upon which he was elected after all. However, a far more problematic set of circumstances loom large. They can be answered individually in seperate decisions – or all at once with a singular response. Having extended a ceasefire by the Ukrainian military until 2200 hours on Monday 30th – should it last its full duration – as of the time of writing a further extension seems unlikely. As expected, those opposing the Ukrainian forces have used what will be 10 days of little more than retaliatory engagement from the Ukrainian military to both enhance and firm up their positions. But it was expected. Viktor Medvedchuk continues playing the mediation game with all other participants pretending that he is representing anybody other than the man he actually is representing – President Putin. The goals as previously written in the link. All OSCE observers have now been released after robust EU threats that on Monday sanctions will be imposed on Russia should they not be. Whether the other EU actions required to avoid further sanctions will be met, or whether The Kremlin will try its luck at meeting only a few of those requirements in the hope of such avoidance remains to be seen. Whatever the case, President Poroshenko has tried to time the ceasefire ending with that of the implementation – or not – of further US and EU sanctions. However a further extension with only partial Kremlin compliance with EU requests and the Viktor Medvechuk sideshow simply is extremely unlikely. The Kremlin now sees mileage in sending more OSCE observers into Ukraine amongst the increase to 500 suggested by OSCE. About 40 Russian monitors to be amongst that number – and the more monitors the better for OSCE – but they did not and will not stop the resumption of the ATO when the ceasefire ends and no substantial progress has been made toward achieving the presidential plan. Monitors after all monitor – they do not get actively involved. Rumour abounds that peacekeepers will be requested and/or to be sent unilaterally by The Kremlin – though peacekeepers are only ever sent at the invitation of the hosting government. It is beyond unlikely that Ukraine would request Russia unilaterally send peacekeepers. Any unilateral and uninvited peacekeeping force would be seen by Ukraine and the vast majority of the international community as an invasion and thus not the way to avoid sanctions. A multinational peacekeeping force may actually bring peace – and that is not in Kremlin interests. There is also a marked difference between peacekeepers and peacemakers. The concept of Responsibility to Protect (R2P) simply does not fit the Ukrainian situation no matter how hard it is tried. Without going into too much detail, R2P works on the concept of levels of responsibility. Naturally, the responsibility to protect the ethnic Russians and Russian speakers within the territory of Ukraine, first and foremost is the responsibility of Ukraine. That is why The Kremlin goes to great lengths to show Ukraine is failing in that task, despite huge numbers of ethnic Russians and Russian speakers having no issues throughout Ukraine. The next level of responsibility would be that Ukraine forms international partnerships to protect the rights and wellbeing of ethnic Russians and Russian speakers in Ukraine. It is no accident nor sign of failing to protect, that Ukraine has asked OSCE to send monitors. This was a deliberate tactic to refute the Russian pretext for the final level of R2P intervention. The last level of R2P is of course direct intervention within a sovereign State by an external actor – but who decides if a State has failed in its duty to protect? Who decides whether to intervene, and who is sent to intervene? This is where it all can get a little messy. R2P is about prevention, reaction and (unfortunately) rebuilding after the fact. The traditional view would be that only the UN Security Council can authorise such a R2P military intervention. Any unilateral or regional intervention would therefore be illegal under international law. However the inability of the UN Security Council to agree on much has raised questions about whether any unilateral or regional intervention without UN Security Council authorisation would actually be illegal. R2P has within it a “legitimacy criteria” – and it is against this criteria the global public and many nations are likely to judge any interventions – with or without UN Security Council mandate. Perhaps a conflict between justification, legitimacy and legality would exist as a result – or perhaps not – following any unilateral intervention in certain cases. In the case of Ukraine however, any unilateral Kremlin intervention would clearly be seen as an act of war. Anyway, it is against the R2P “legitimacy criteria” that any intervention need be assessed. 1. Show “just cause” – The scale, gravity and systematic human rights violations against ethnic Russians and Russian speakers. Large scale loss of life? Planned genocide? Ethnic cleansing? Making this case, The Kremlin would currently fail to convince the UNSC. 2. Have the “right intention” for its intervention. In short the pretext for intervention is purely a human rights driven cause. There is no pretext or intent for a land grab, control of raw materials, political control etc. Clearly The Kremlin would fail to convince once more. At the very least, political control is what The Kremlin seeks to achieve with regard Ukraine. 3. “Last resort” – There is no other option to direct intervention to protect those whose human rights are being grossly and systematically violated. The Kremlin has yet to display any systematic or widespread human rights violations against ethnic Russians and Russian speakers let alone justify any “last resort” criteria. 4. “Proportional means” – Will military intervention in Ukraine be proportional to the human rights violations claimed to occur? Is military intervention proportional at all? 5. “Reasonable prospects” – Would military intervention have reasonable prospects of preventing further rights abuses? Obviously if only the Russian military came rolling into Ukraine under the auspices of R2P it would make matters worse not better. The vast majority of Ukraine would see it as a conventional invasion. War would not only be the result, but it would be the expected response to any such incursion by the majority of the nation. There is the issue of Ukraine regaining full and lasting control of its borders once more – and in doing so being better able to repel fighters and weaponry entering the country through Russia unhindered. This is without doubt a major requirement for Ukraine – and a requirement that need be accomplished swiftly with or without Kremlin assistance. In short there are many difficult decisions facing the Ukrainian leadership in eastern Ukraine if each issue is addressed individually – complicated further by any attempt to accommodate Kremlin demands, none of which are in the interests of Ukraine as viewed from Kyiv or the vast majority of the country. The single decision to end the ceasefire and recommence the ATO may be seen to address all of these issues in whole, or in part – whether more OSCE monitors arrive or not and regardless of US/European sanctions. The securing of Ukrainian borders is an absolute necessity and if being done by force is the only way, then it need be done – it is the immediate priority. If Ukraine (and the Europeans) want to avoid another de facto Transnistria, then the efforts of those fighting against the Ukrainian military over the past 10 days need be undone and overrun. Should the above two paragraphs turn into reality, the shoehorned return of Viktor Medvedchuk to the Ukrainian political scene as President Putin’s voice ends in any meaningful sense as far as the immediate situation is concerned. 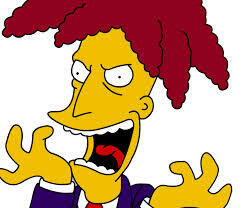 That sideshow remains a sideshow. Will The Kremlin do enough to satisfy the US/Europeans regarding delaying further sanctions? Will there be anything occur that would warrant yet further extensions of the ceasefire? There are but a few questions that require answering prior to 2200 hours tomorrow from numerous actors. As things stand at the time of writing – expect the ceasefire to end and the ATO to recommence – regardless of further sanctions being imposed or not from without. What to do with the (temporary) heroes? Perhaps the answers to that are now about to become clear. The “Novorussia” Ideologue-in-Chief sacked from his role as Professor of Sociology at Moscow State University. Well, #Dugin getting fired happened sooner than I expected: http://t.co/dJ7CbkxRIn – Not sure can rebottle the nationalist gene so easily. Somewhat earlier than expected perhaps – but ultimately expected nonetheless, when Professor Dugin’s nationalist ideology is certainly not the State nationalism as desired or interpreted by The Kremlin per the quote above. Professor Dugin claiming directly that his removal from his post being directly linked to his support for Novoriussia. Anybody who has read Professor Dugin’s “Fourth Political Theory” may possibly consider his removal apt reward for having wasted hours of their life in reading it. Anyway, in removing Professor Dugin, does this perhaps infer a Kremlin move to dampen/fade out the “Novorussia” ideology across the Russian MSM? If so, how to combat the army of followers that People like Professor Dugin have on the social media networks and prevent the continued publication of far right nationalist printed material that Professor Dugin has been involved with since early 1990? How to make him fade away if that is now the Kremlin course? Having used the Russian nationalists for Kremlin ends, how to put the gene – particularly the well known leaders of such an ideology back into the bottle? By logical extension, the same question arises with regard to what to do with other Russian citizens raised to “hero” status by the Russian media during the on-going conflict in eastern Ukraine. What to do with Igor Girkin/Strelkov, Igor Bezler or Alexander Borodai, to name but a few Russian citizens that have self-declared themselves into prominence in eastern Ukraine, ably supported and projected to “hero” status by the Russian media? Decisions within The Kremlin need be made swiftly this weekend as it seems clear neither the USA, the EU and its Member States, nor President Poroshenko, are likely to hold off on action over eastern Ukraine with effect from Monday 30th. If The Kremlin decision is to secure its borders to stop the flow of fighters and weaponry entering Ukraine to avoid further sanctions, it does so knowing that the fighting paramilitary elements in Ukraine will not last long. Some will die there, others will be captured and jailed, and yet more will make it back to Russia having fought on for a while longer before eventually leaving. If they are not killed or captured in Ukraine over the coming weeks, when they return to Russia, they will return as (temporarily) high profile nationalist heroes – unless they are swiftly recast by the Russian media into far lesser beings prior to their return in an effort to dull their attractiveness to those at the extremes. Perhaps they will not return. Perhaps The Kremlin may decide it better they do not return. The return of well known nationalist leaders, popular enough to challenge The Kremlin narrative and definition of “nationalism” as well as the official approved version of events in eastern Ukraine may be quite problematic. Those returning will be well armed. Some will not be mercenaries or criminals fighting for money. Some will be genuine, extreme, nationalists who will eventually realise they have been used by The Kremlin in eastern Ukraine. Should they return and have well known leaders from the same fight to rally around, this clearly creates a problem for The Kremlin. What to do when the Kremlin doesn’t need these heroes any more – or their very different nationalist ideology to the one that is desired? Few will notice any sweeping up of the “troops” when they return to Russia – but what is the best solution regarding these high profile Russian citizens for The Kremlin? Buy their silence and/or obedience? Jail them for one reason or another to take them out of circulation? Insure they do not return, nipping a potential problem in the bud on Ukrainian soil? Allow their return but cut them off from MSM coverage and propel them back to the fringes of social media from whence they came – hoping that the cannot rally the like-minded around them? Can they be effectively and efficiently “mothballed” pending other such adventures in Ukraine or elsewhere? Is the removal of Professor Dugin from his post the beginning of a shift away – publicly at least – from the concept of Novorussia by The Kremlin? Do Messrs Girkin/Strelkov, Bezler and Alexander Borodai need to take heed? Today finally saw Ukraine drop its developmental anchor amongst the European nations of the EU with the signing of the Association Agreement and Deep and Comprehensive Free Trade Agreements. RADA ratification will undoubtedly happen very swiftly, putting Ukrainian political direction on a firm and legally binding foundation. It is also a symbolic breaking of its Soviet legacy – which raises the issue of turning that symbolic break into real, tangible and comprehensive reforms. Putting aside the issues in eastern Ukraine and looking at the nation in its entirety, there is really only one place to start that can been seen and felt to have immediate effects across society, being universally cheered at each and every victory – An intense and fierce war on corruption and the imposition the rule of law and equity before it. That need begin immediately – and naturally will never have an end. The sacking of almost 17,000 employees within the Ministry of Internal Affairs – thus far – is only part of that war, and the tip of the iceberg undoubtedly. What is necessary to create and implement, is an effective model whereby 17,000 Ministry of Internal Affairs personnel would have neither the desire nor easily presented opportunity to engage in corruption in the first place – and there are many models to chose from that would produce a significant reduction in the daily corruption the average Ukrainian faces. Returning to eastern Ukraine, the ceasefire ends today – another undeclared war that will rumble on and on without some form of decisive action – be it diplomatic and/or militarily. Perhaps not a day for triumphalism, but one of somber accomplishment when recognising the battles yet to come on what will be an extremely difficult journey ahead. Today a very quick glance over the border at Moldova – and why not? With tomorrow almost certainly seeing Ukraine, Georgia and Moldova signing EU Association Agreements and Deep and Comprehensive Trade Agreements, despite Ukraine currently taking by far the most grief of the three nations from The Kremlin, it goes without saying that these other two nations are not going to be spared some form of retribution either. The reasons for the proposed delay according to Sergei Gubarev , Russian Ambassador at large – “Russia does not see any need for holding talks for the sake of talks. We returned to the initial stage when the parties lay claims. That may seem fair enough prima facie when considering The Kremlin’s “realist” perception of the world and how it should work. If there is nothing to say, why say anything? – Or even bother sitting down? However, September is only 8 weeks away. How will matters have moved on from a “return to the initial stage when parties lay claims” between July and September without any dialogue? Surely such a problem existing in July will remain an existing problem in September? Perhaps this is nothing more than the first of many obstructionist acts by The Kremlin regarding Moldova and nothing more? Perhaps, however, it is also necessary to look to events in either Russia or Moldova in September, that may possibly suit The Kremlin for one reason or another – over and above simple obstructionism. I may have touched upon one in yesterday’s entry regarding the Russian military, although that may have no connection considering what would undoubtedly follow by way of western reaction. Would military intervention in Moldova be worth it for The Kremlin? No – particularly so when 15-20% of Moldavian citizens also hold Romanian passports and are thus EU and NATO citizens by extension. A very dim Romanian view of any such act would follow. So what else could be gained for The Kremlin by moving such negotiations back to September? The answer may very well be found in the forthcoming Moldavian parliamentary elections that occur in November – elections that are likely to give a far more Kremlin accommodating Communist Party a very reasonable chance of gaining electoral victory and the parliamentary majority. September therefore would provide for the negotiations taking place at the beginning of the electoral campaign cycle – and throwing a spanner into the works of the existing pro-European majority at this time via the 5+2 negotiations – as well as gas, economic and social shenanigans undoubtedly – may just be enough to tip the scales away from another pro-European parliamentary term. Moldova will sign the agreements with the EU tomorrow. If the current pro-European parliament has any sense it will ratify the agreements with the uppermost speed too (as will Ukraine no doubt). However, whilst any new Communist majority would probably not undo any such agreements, it can be expected to slow implementation of these agreements down to a snails pace. For The Kremlin, to throw spanners into the 5+2 negotiations in July, either directly – unlikely – or via instruction to Transnistria to do so, and inferring (pro-European) Chisinau inability/fault for the results (or lack of) – would seem premature considering the far greater impact that can be had by doing so at the start of parliamentary election campaigning in September. Something to keep a watchful eye on perhaps? Tomorrow, back to Ukraine and a signed AA/DCFTA with the EU and a simultaneously expiring ceasefire in the east. Kremlin to lift authority for using troops in Ukraine – And? What seems a very long time ago, at the very beginning of March, the Russian upper house of parliament approved President Putin’s request to be allowed to use Russian forces in Ukraine “until the normalisation of the political situation in the country”. That normalisation has – arguably for some – been established with the election and inauguration of President Poroshenko a few weeks ago. Mr Putin yesterday let it be known he has asked the Russian upper house of parliament to now rescind that authority – and naturally that authority will be rescinded. Whether any reader will take what is likely to be The Kremlin line that President Poroshenko’s election equals the normalisation of the political situation and thus there is no need for such an authority for Russian troops to enter Ukraine – or whether any reader will believe that this step has been taken in an attempt to insure that there will be no additional sanctions placed on the Russian business sectors as was likely to occur with effect from Friday 27th, after the signing of the AA and DCFTA between the EU and Ukraine – that is their choice to make. Those threatened business sectors were/are to be technology, defence and finance in case any reader is interested. One would need a very short memory to forget just how easily and how quickly the request from President Putin to use troops in Ukraine was granted last time. There is no reason to believe it would be any more difficult or lengthy for him to gain that authority once again in the future. Thus in substance, the cancellation of this authority means very little – despite any hyperbole to the contrary. Welcome as it is, far more important to Ukraine at the present time would be the securing of Russian borders to stem the flow of fighters and increasingly advanced weaponry. Readers can either chose to believe that Russia has lost control of its own borders – a clear indication of a weakened State – or that it is at the very least complicit in allowing such people and weaponry to travel through its territory and cross into Ukraine unchallenged. The choice is one or the other – and The Kremlin is not yet so weak that it has lost control of its own borders. It should also be noted that due to current internal issues within the Russian Army itself, there is little chance of any meaningful offensive until the end of September/early October. That has been the case since mid-May. Russia is in the midst of a conscript release and induction/training period. To mass 40,000 troops once more on Ukrainian borders will require a good deal of trained conscripts as well as the contract and elite troops. That October timing, parallels with the proposed new RADA elections in Ukraine – should The Kremlin want to mirror events leading up to the Ukrainian presidential elections. Thus regardless of the cancellation of this military authority – or not – a full scale or meaningful overt incursion into Ukraine by regular Russian troops passed its window of opportunity in mid-May, and it will not reappear until the end of September. That said, one should perhaps be mindful of these words – “Never fight with Russians. On your every stratagem, they answer unpredictable stupidity.” – Otto Von Bismark. However, The Kremlin has learned new lessons over the past months. This article from March 2013 written by General Gerasimov raised some questions for the Russian military and offered a few answers – much of which has been seen to be put into play both in Crimea and eastern Ukraine – almost to the letter. Questions now for The Kremlin is what to do with the most extreme swivel-eyed Russian nationalists who are expecting the collection of more “Russian lands” and the ideological consolidation of the “Russian World”, when the Kremlin definition of Russian nationalism is unbending and unquestioned support for The State regardless of its decisions? How to deescalate such people without them feeling betrayed and/or used when The Donbas and Luhansk remain part of Ukraine and they return to Russia? These two very different versions of Russian nationalism will need to be reconciled somehow if The Kremlin wants to be sure such people do not turn their attention toward it. The EU, its Member States and the US have also had the opportunity to try out a fairly new strategy against a sizable aggressor – one of targeted financial and economic warfare that increases in intensity appropriate to the unfolding events. Despite the screeching of the geese and the braying of asses across the social and main stream media calling for immediate introduction of Stage III sanctions from the EU Member States over the past few weeks, the European Council have been quite wise in the timing. To have implemented Stage III sanctions prior to the signing of EU-Ukrainian agreements would have presented The Kremlin with a “nothing to lose” scenario. Keeping that Stage III powder dry until signatures are placed on agreements has left all parties options. Stage III sector sanctions will probably now be left on the table for some considerable time – but are unlikely to be implemented should The Kremlin decide to secure its borders over the coming week – though it will undoubtedly switch to less obvious methods to undermine Ukraine. Sanctions imposed in relation to Crimea however, seem destined to remain in place for many years to come. Indeed they are likely to expand by way of names on the list as one feckless regional leader is replaced by another as time goes by. 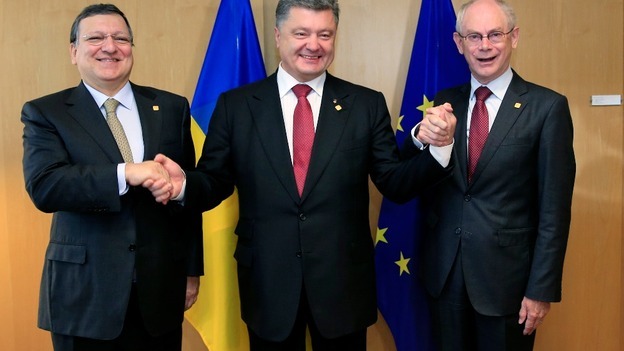 The question now for the EU is how long and how determinedly will it support Ukraine going forward? It will undoubtedly be expensive financially and require a great deal of unrelenting political energy – even with a willing Ukrainian partner. Can the EU maintain sufficient unity with several Kremlin Trojan Horses amongst its ranks? In the meantime, only the deluded will consider The Kremlin threat to Ukraine to be diminishing. To be crystal clear, Ukraine is now – and will remain – a front line State for Kremlin shenanigans, ad hoc deniable irregular action/incidents, deception, subterfuge, espionage, international and regional obstructionism and social incitement, for at least the next decade. Whilst it may appear – hopefully – that direct and overt Russian military aggression toward Ukraine is (temporarily) removed from the equation – Ukraine would be very wise to use this time to prepare for a possible return to such a threat by the Autumn. That means not only better readying its military for both regular and irregular engagements, but also having a major cleansing of its incredibly infiltrated military and law enforcement ranks during this period too. Perfection will not be achieved of course, but real improvements can be achieved even in such a limited time frame. Such time is not to be wasted whether the tensions rise again in the Autumn – or not. Yesterday, after the EU meeting of Foreign Ministers, the usual press statement was released.. This one far longer than normal, but that reflects a return to the world stage of geopolitics in almost every region of the globe. Something which ties in with many an entry in this blog over the years. Rule of law and institutional support a continually banged drum. “……there is an equally – if not more – important need for “the west” to support the Ukrainian institutions of state quite separately from the government. Now is a time for those institutions to firmly plant a “keep off the grass” sign for the political class of Ukraine. The “west” need to actively encourage the institutions to do so – now – immediately – today. Prophetic? Insightful? Academic? No. Simply stating the most obvious of requirements – requirements that still remain the most obvious now. It is therefore somewhat encouraging to read something from the European Council that specifically aims at supporting the institutions of state – and in particular the judiciary and police. Regardless of how you may view Euromaidan in a revolutionary context, it will not be the political class that prematurely ends any such revolution within Ukrainian society. The surviving political class will continue to cast a wary eye and receptive ear toward civil society, for fear of a repeat of February’s events. The changes demanded by society (regardless of political leaning) will be prematurely ended by the failure to change the profiles, culture, and systems within judicial system and police. In short the rule of law and equality before it – or lack of it – will end any societal revolution far swifter than the current political elite. The political class may set the legislative/constitutional scene for an independent judiciary and accountable police force – but once done the expectation (and willingness in some cases) of the judiciary to be politically led need end. Civil society need to continue highlighting corrupt judges and police officers. Society need refrain from trying to buy judicial results or paying off the police. The judiciary and police need be encouraged – robustly if necessary – to voluntarily clean their own house before being forced to do so. As Utopian as it would be to sack everybody and start again, these institutions must still continue to work. Thus it would be sensible that only the most serious of recent corrupt/questionable verdicts need be investigated and offenders prosecuted to send a message within the judiciary, prosecutors offices, public defenders and police. Thereafter all current and future nefarious activities investigated and prosecuted as standard procedure. It is necessary to be both honest and pragmatic. Changes to institutional structure can be made almost overnight – but there is also a need to recognise that in the pursuit of the best solutions, throwing out the good and being left with the bad, is not a wise course to take. Results take time to manifest themselves and must be given time to do so. The question is how much time to give when measuring the results to define success – or failure. With regard to something so fundamental to society, a wise government may decide to share such evaluation time lines with the public – and make suggestions to the public about how they can support the reforms when coming into contact with the judiciary and police during the on-going process. To be blunt, in the current circumstances, it is not wise to sack everybody when other actors are trying to set up an alternative State within Ukrainian territorial borders. It would perhaps be remiss to provide those people with trained and embittered judiciary and police capable of setting up new institutions within an alternative State. Utopia will have to wait – but institutional changes cannot. Thus EU support by way of a CSD Mission certainly cannot harm the necessary processes of reform – both in the removal of political dependency and internal institutional reforms themselves. The support of the Council of Europe, OSCE and outstanding Venice Commission recommendations regarding reform also exist and are there to be utilised. As for the actual reforms – there is no need to reinvent the wheel. Ukraine is not the first and will not be the last nation to (hopefully) undergo an effective rule of law evolution. What has worked – and what did not – are known from other transitions. Some nuanced issues may need tweaking specifically to Ukraine, but a generally successful framework is already known, tried and tested for such reforms. Having banged the “institutional support drum” to a lot of senior diplomats in person when asked what needed to be addressed and wasn’t being, and having written countless entries about the rule of law and need for external, independent, dedicated support for the institutions of state – and rule of law is the root cause of almost every problem in Ukraine past and present – it is somewhat pleasing to see the European Council recognising this problem and actually proposing something that addresses political, civic, economic and social problems simultaneously through tackling a single pillar of the Ukrainian system. It is dependent upon Ukraine to accept and make the most of the assistance being offered – but if that assistance is taken in good faith, it is then incumbent that the CSD Mission have the energy and presence in Ukraine to effectively monitor recommendations, implementation and results. 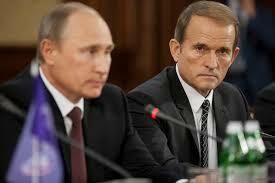 Seemingly President Putin has anointed his close friend Viktor Medvedchuk as his “peace envoy” to eastern Ukraine. Viktor Mededchuk being the leader of the “Ukrainian Choice” public movement that came into being in order to scupper the EU agreements when Viktor Yanukovych was in power and “wavering”. Mr Medvedchuk became the permanent Kremlin whisperer in ex-President Yanukovych’s ear – and also one of the most despised men in Ukraine at the same time. The “Ukrainian Choice” public movement media campaign delighted in the U turn of President Yanukovych – very quickly disappearing from the public domain once the then president took flight. President Putin is also the god father of Viktor Medvedchuk’s daughter. However, by anointing Viktor Medvedchuk as the Kremlin’s “peace envoy” it displays limited intent from a Kremlin that has nothing to gain by attaining anything like a genuine peace in eastern Ukraine. It is nothing more than a sideshow. For Viktor Medvedchuk, this presents an opportunity to try and gain some public traction once more within the Ukrainian political circles. Quite which ambassadors he expects to meet and discuss eastern Ukraine remains unclear. The People’s Republics have no ambassadors that any Ukrainian ambassador would meet for it implies recognition. Having a chat with Mr Medvedchuk as a Ukrainian citizen would be no problem. Having a chat with him as President Putin’s “peace envoy” presents little problems either. Should he don any form of official appointment from either region within any unrecognised administrations – it is the end of any role as interlocutor. So what meetings at ambassadorial level does Mr Putin refer to? Why would any ambassadors need Viktor Medvedchuk to be present for such discussions? OSCE will of course meet with Mr Medvedchuk – it is within their remit. However OSCE has already publicly stated that it supports President Poroshenko’s plan and asks all to support it. If President Poroshenko’s plan works then it works to the benefit of Ukraine – but not to the benefit of Kremlin interests. Nobody should be under any illusions that the Kremlin will continually seek to undermine and subvert Ukraine for a decade or so to come. Mr Medvedchuk will no doubt be speaking to Boris Lozhkin, the new head of the Presidential Administration as often as Mr Lozhkin will pick up the telephone to him. The two men used to have shared media interests some years ago. However, Mr Lozhkin is not about to abandon the presidential plan or sell out President Poroshenko for the sake of Mr Medvedchuk. The Medvedchuk sideshow is intended to have only a few results. The first to try and paint a picture of Kremlin attempts to deescalate the situation in eastern Ukraine, thus avoiding further sanctions from the Europeans in particular – on something close Kremlin terms by engaging with those Kyiv refuses to via a very pro-Kremlin intermediary. The second is to provide a well known Ukrainian voice parroting the Kremlin line once more. Since the implosion of Party of Regions, the Kremlin has lost its well known voices in Ukraine. Promoting Viktor Medvedchuk back onto the Ukrainian political stage, a tried, tested and trusted voice may gain some traction – or not. The game plan bonus, should Mr Medvedchuk gain a little traction in the Ukrainian media, to erode the presidential plan and drop a firm anchor preventing – or at the very least slowing considerably – Ukraine’s European integration. As unlikely as all of this is to succeed, it will be tried nonetheless. Perhaps it need only work until new RADA elections should any pro-Kremlin factions emerge – if they don’t, then it need work for as long as it can have even the slightest drag effect. The Medvedchuk sideshow is just that. A Kremlin attempt to apply a very thin veneer of “peaceful deescalation” for the sake of appearances, whilst continuing to try and undermine Ukrainian direction westward. Nevertheless, as with all sideshows, watching it can be an interesting way to pass the time now and again – and be aware, sometimes sideshows make it all the way to Broadway. You are currently browsing the Odessablog's Blog blog archives for June, 2014.